Authentic, healthy and delicate: carnaroli rice is the ideal product to have in your store cupboard if you want to create tasty recipes. If it is also Acquerello, high quality and artisan production is guaranteed. Eataly has therefore put together this value pack of 12 tins of Carnaroli Rice that has been aged for one year; it is easy to cook and very tasty. 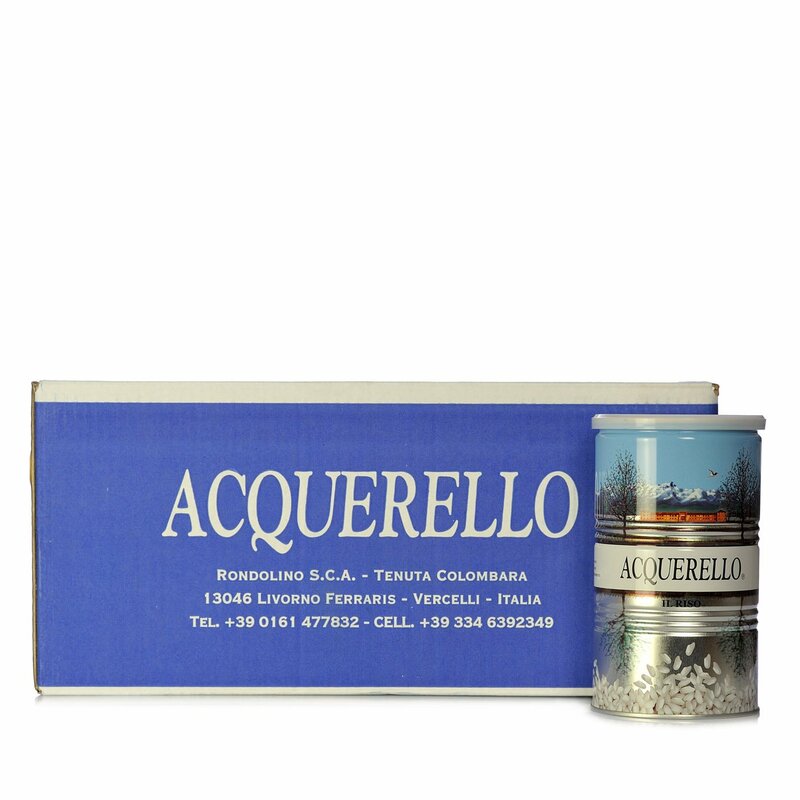 This product can be easily identified, as it contains a stable starch that does not dissipate while cooking, so its grains do not become sticky, and thanks to the ageing process, which is the main factor behind the unique flavour guaranteed by Acquerello. Rich in proteins, vitamins and mineral salts, Carnaroli rice is therefore a truly complete food from a nutritional point of view. Tenuta Colombara only grows high quality Carnaroli rice, entirely through organic farming. Piero and Rinaldo Rondolino complete the ageing process in the silos. By ageing the rice, its texture improves and it absorbs condiments more effectively. It is packaged in vacuum tins.